Black Friday is Upon Us! It’s time to shop for your favorite Gambler! What do gamblers like to get? – Jackpots, Progressives, Bonuses, Comps, FRB (Free Room & Board), Free Dining, Free Slot Play………. Casino Gift Cards Outside of New England – Any gambling destination (Viva Las Vegas!) will have gift cards available at many types of venues. The best places to start would be the industry leaders – MGM, Caesars, Stations, Wynn, and Boyd to name a few. 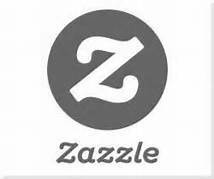 Zazzle – an online company with thousands of products to “let you add your personal touch to any part of your life.” they have hundreds of Gambler’s Gifts. Click on Zazzle and check it out. Some gift ideas include neck ties, shirts, mugs, hats, and assorted gambling items, most of which you can personalize. A similar online shopping site with gambler’s gifts is CafePress. A Framed Print – For anyone who loves Las Vegas, frame a picture of your gambler’s favorite hotel, or view of Las Vegas. A picture of the Las Vegas Strip, or Downtown Las Vegas. Maybe a historic canvas, or even one of “Old Blue Eyes” himself, Frank Sinatra. Another idea is to have that picture of his/her first jackpot or royal flush put in a cute little picture frame. Feel Good Gifts – Many of the bigger casino resorts have spas where a gift card can be purchased for a massage, or any other relaxing treatments. Give your gambler a chance to get out of the hustle & bustle of the casino and enjoy a wellness break. A Magazine subscription. 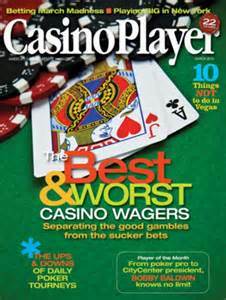 Casino Player covers the entire country and has articles that touch every facet of gambling, including travel and destinations. Slot Player, an affiliate of the same company, does the same, but with more of a slant toward slot players. Both can be found here. For poker/card players, Bluff, Card Player, and WPT Poker are great resources. 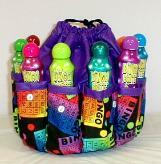 Is your family gambler a BINGO Aficionado? Try putting together a Bingo Basket, with daubers, snacks, lucky charms and even buy a bingo bag for all their accessories! Try BingoShop.com for bingo ideas. Bringing Down the House By Ben Mezrich – The amazing tale of a group of MIT students who, back by investors, take on Las Vegas by communicating with gestures and card-counting code words at the blackjack table, featuring a chapter at Foxwoods. Super System By Doyle Brunson – The bible of all poker books. It was published more than 20 years ago, but this is a simply a must read for Texas Hold’em players of all levels and it’s written by one of the game’s legends. Beat the Dealer by Edward O. Thorp – The first and perhaps most influential blackjack card – counter’s Bible. The Video Poker Answer Book by John Grachowski – Landmark video poker complete guidebook. Blackjack Secrets by Stanford Wong – Blackjack guru’s advice for advanced card counting techniques. The Outsiders Guide to Las Vegas by Tim Dressen – advice, hints, and unfiltered opinions packed with useful information, entertaining perspectives, and more than a few off-the-rails rants. Stocking Stuffers – key chains, rewards card holders, little hand sanitizers, smart phone charger…..anything that will fit in a Christmas stocking! Be creative. How about a roll of 5 $1 bills to tip the servers at the tables or the machines. Let your creative juices flow with stocking-stuffers. Finally, a great website for anytime of the year is the Gamblers General Store. It’s the Worlds Largest Casino Supply Superstore with Gaming Equipment and Supplies, Playing Cards, Casino Dice and Cards, Custom Clay Poker and Casino Chips, Money Wheels, Prize Wheels, Raffle Drums, Poker Cards and Tables, Bingo Supplies, Books, Clothing, Souvenirs and More! So, have fun buying for the gambler in your life. I hope this helps you get ideas started. Happy Holidays!